Benelli is an Italian brand on the rise and they have just released the BN600S and BN600RS a learner/LAMS compatible motorcycle. Currently owned by a Chinese motorcycle company it has a chance at making a dent in the ‘ Italian exotic’ end of the motorcycle market (2014)! Since the brand has a solid racing history and that they are still made in Italy with design flair – for this part of the world things look good. The main competitor here is the Ducati and it’s Monster 600 series (LAMS compatible version) which is doing quite nicely by all accounts in the Learner category. Ducati is considered the prestige brand for most and Benelli will probably try to replicate. Although in the end it will be the other Japanese models that it will be compared against the BN600. That’s because I believe that the biggest problem with the BN600S is that it doesn’t look quite as exotic as some other models. 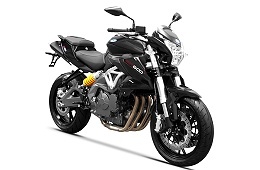 There are plenty of equally stylish and capable motorcycles in the over 250cc LAMS category to choose from, so without more marketing no-one will know about it! In fact I only discovered the BN600S/RS existence through an almost forgotten press release… The BN600RS version is the more ‘exotic’ which has higher quality parts by Brembo (brakes), Marzocchi (suspension) and Delphi (EFI). Both models are also available as full powered versions. So far the Benelli looks good on paper and in the pictures. More details to be updated on this page as they arrive.